and the whole set is designed to live outdoors all year round. 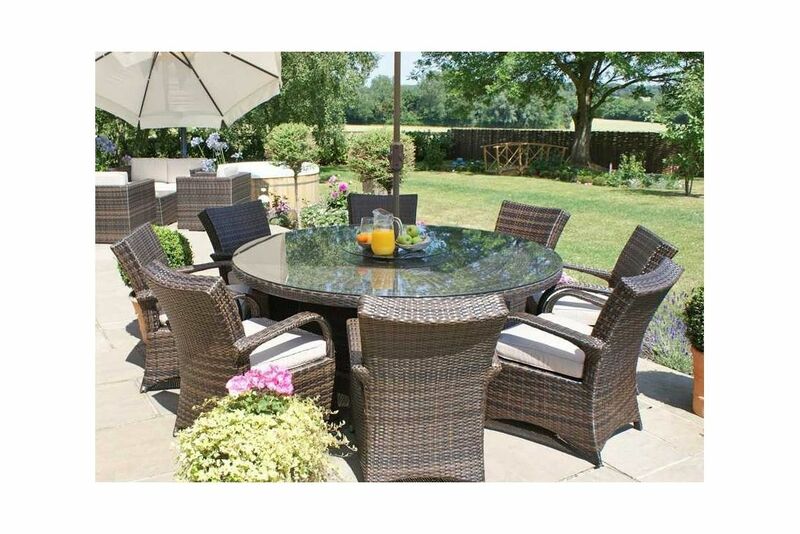 a 1.80m Round rattan dining table. This can be easily washed off with a hose pipe or power washer. UV light resistant to ensure that the coloured rattan does not fade in the sunlight. Available in mixed grey Or mixed brown rattan with beige cushions. The cushion covers can be removed and washed if required.